The body of this bright and healthy two-year-old boy suddenly and rapidly began to deteriorate. 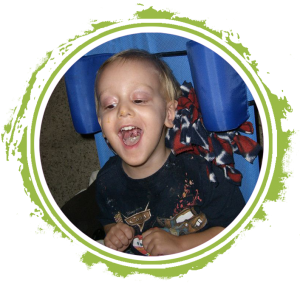 Over a period of just 5 months, Judson became completely paralyzed, blind, and mute. 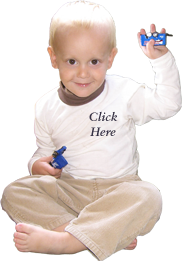 In time it was discovered that his body was being ravaged by Krabbe Leukodystrophy, a genetic disease. Yet, in the midst of his suffering Judson remarkably modeled faith, hope and joy. 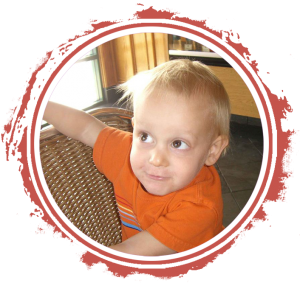 It became evident God was using him, a little two-year-old boy with a broken body, to teach us much about life; Judson’s sweet spirit and character are his legacy. And by the grace of God, his life continues to make a difference in the hearts of people and in the fight against Krabbe disease. So who is this little blonde boy with big brown eyes that no longer lives on earth but continues to capture hearts? 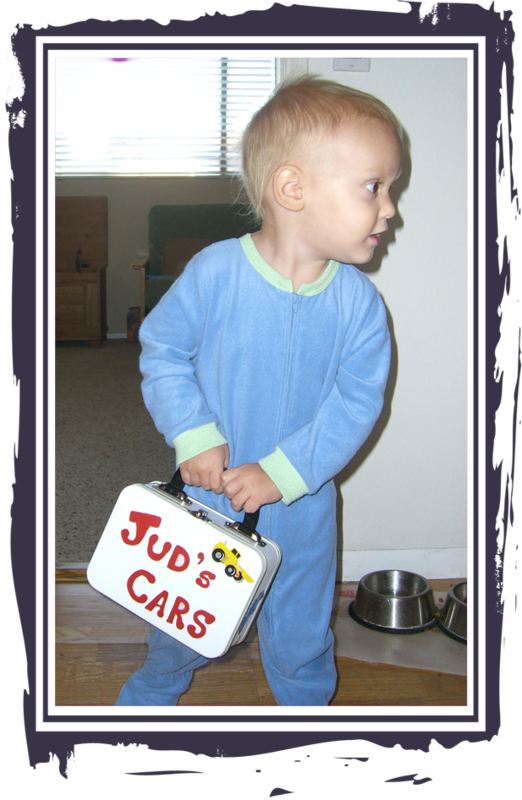 In many ways, Judson was like any other young boy. He loved the outdoors, seeming to have an uncanny ability to find nearby mud and wind up covered in it. He enjoyed hunting for roly-poly bugs — collecting the tiny crustaceans and then putting them on the sidewalk to watch them slowly unroll and scatter. 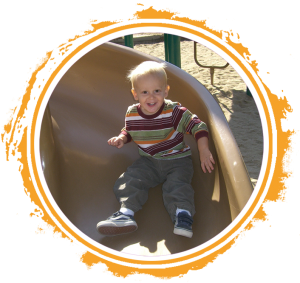 Everyday held something new at the park outside the Levasheff home; Jud could be found swinging, sliding, cooking sand cereal at the playground counter, or reaching out to other kids to make new friends. Judson, himself, was full of surprises; one thing that surprised Drake and Christina most about Jud was how much he loved to sing. He could hear a new song just once or twice and then sing it word for word. Because of his striking memory, he had a vast repertoire of songs to croon. One day, his Grammy decided to challenge him by singing the Star Spangled Banner; it took only about five times of hearing the full song before Jud was singing the entire anthem — however, he did declare that it was a “hard song” and needed to be bribed to perform it for the camera. Whether it be playing in a water fountain, perusing the isles of a toy store, building tall towers with his blocks and knocking them down like “Judzilla,” or sipping his special “coffee” with his parents, Judson had a ready-smile and enjoyed life with the wonder, energy, and eagerness of any 2 year-old-boy. Although Jud was a typical little boy in so many areas, from very early in his life Judson had notable sensitivity to God and interest in spiritual things; the Lord seemed to have his hand on Jud in an unusual way. 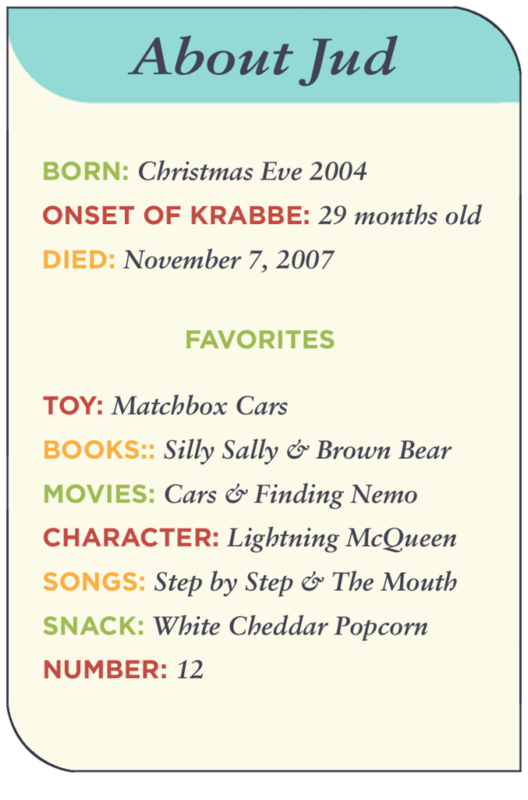 As his enthusiasm for books like Silly Sally and Brown Bear, Brown Bear grew, Jud was especially captured by his Toddler Bible, regularly requesting that it be read to him. Strangely, long before he got ill his favorite biblical story was that of Job, the sufferer. Drake and Christina must have read the story of Job a thousand times to Jud without ever realizing that Judson himself would soon suffer. Jud also really enjoyed the stories of baby Jesus and the little boy with two fishes and five loaves of bread. And what flowed from Judson’s mouth revealed a sensitive, kind heart. Jud was quite the chatterbox with a boundless vocabulary and especially clear articulation, but even more striking were the actual words he spoke. He was extraordinarily others-centered in his questions and concerns, making special effort to praise and encourage people. Jud had a notably sweet spirit! 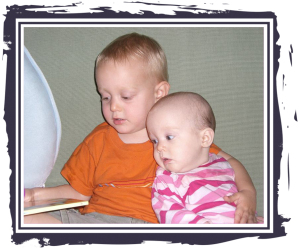 This was most reflected in his relationship with his sister, Jessie, who was 19 months younger. 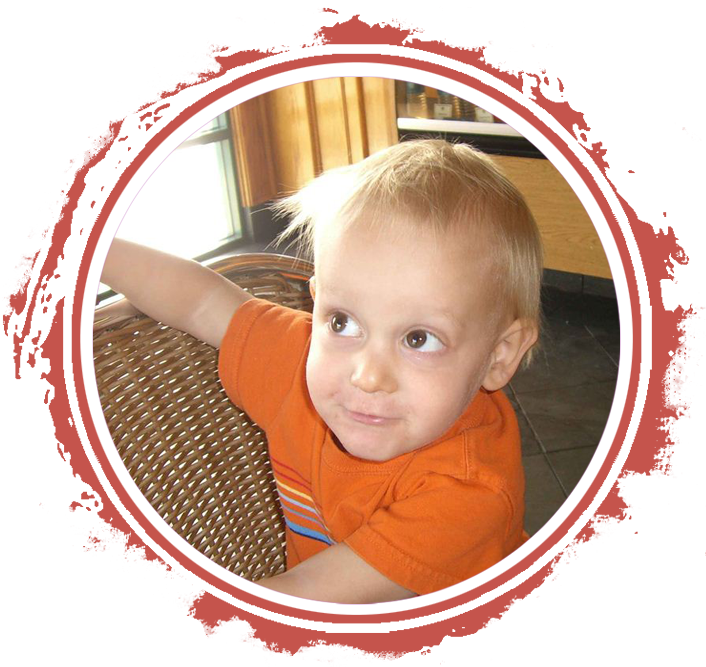 Jud was incredibly tender toward Jess, lovingly seeking to include his “Ladybug:” sharing, teaching, and talking to her, while regularly holding her hand and showering her with hugs and kisses. 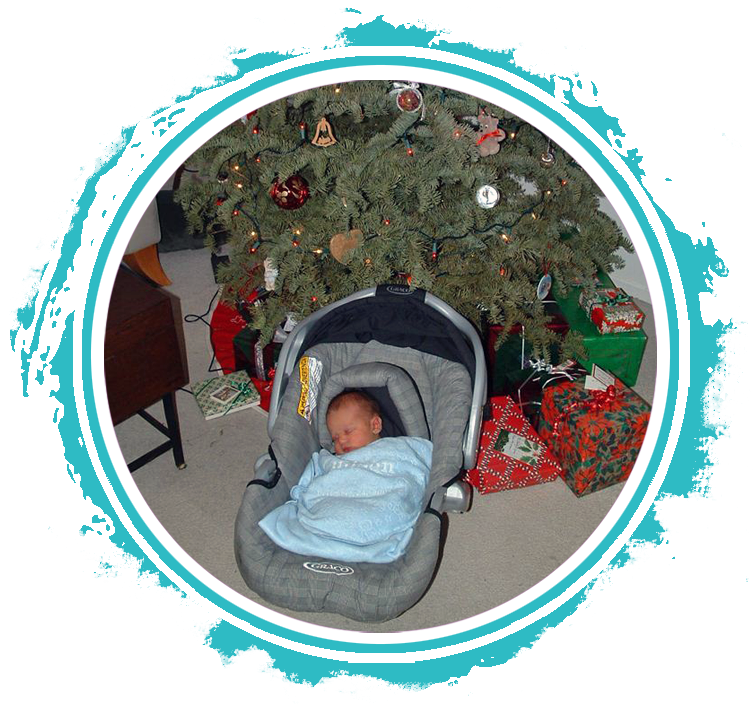 When the onset of Krabbe disease appeared in Judson’s body during the spring of 2007 and he began losing all his capacities, the Spirit of God’s presence in his life became even more evident. This little boy, who was suddenly being deprived of his ability to see and walk, began to aptly communicate God’s truth and joy to those around him. He was timely with words and songs that spoke of surrender, hope, and joy. As his suffering intensified, no longer able to use his hands or arms and no longer able to speak, Judson’s mind remained intact. He had tremendous pain, frustration, and confusion, but his smile and laugh amazingly communicated a supernatural depth of joy that was profoundly baffling to those in his presence; God was clearly holding and sustaining this little boy in the midst of his horrific affliction. On November 7, 2007 the critical functions in Judson’s body shut down and Drake, Christina, and Jessie were left with an unimaginable hole in their lives. 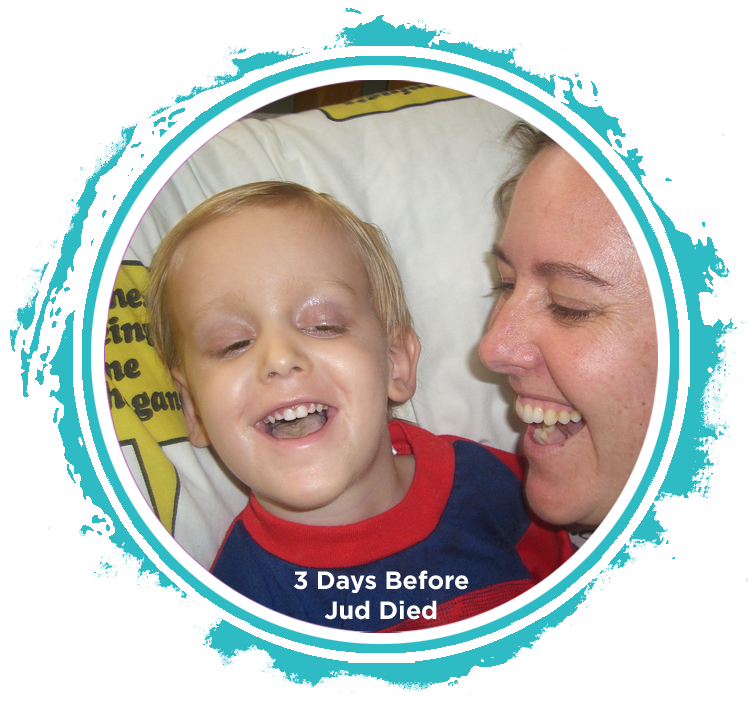 But Judson’s little voice that had been squelched on earth by Krabbe disease regained life anew in the presence of Jesus, his Savior whom he loved. And though he may never have made it to a Monster Truck show, there is no question he is walking, leaping, and praising God with his voice once more. I’m blowing my mind that you’d be a teenager today, Juddy. How is it even possible that my little boy who loved singing nursery rhymes, playing with his train set, and driving his Matchbox cars all over the carpet would be turning thirteen today? © 2014 Judson’s Legacy, 340 S. Lemon Ave. #2720, Walnut, CA 91789. We are an IRS-approved 501(c)3 nonprofit public charity. Donations are tax-deductible.